1. De-stem mushrooms, toss with oil & vinegar. 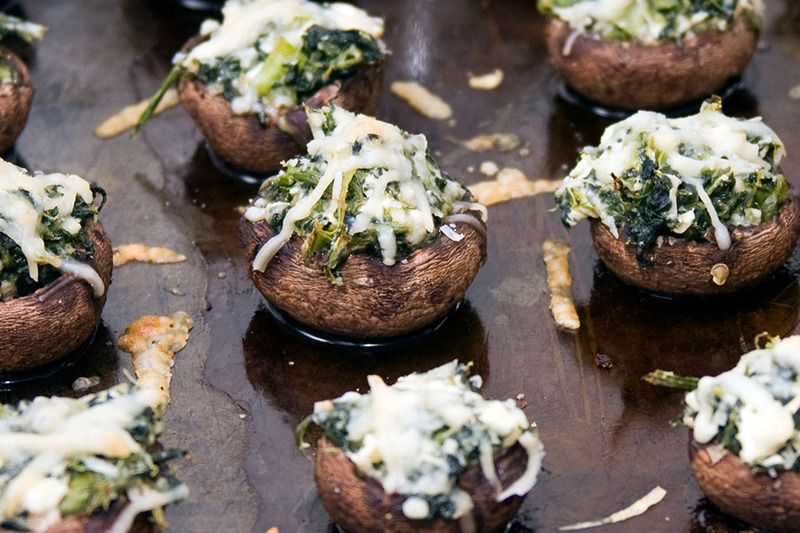 Bake at 350 degrees just until mushrooms sweat, about 10 min. 2. While baking, combine pesto & cream cheese. When mushrooms are cool, scoop in cream cheese mixture and bake again until it starts to melt. Follow us on social media.